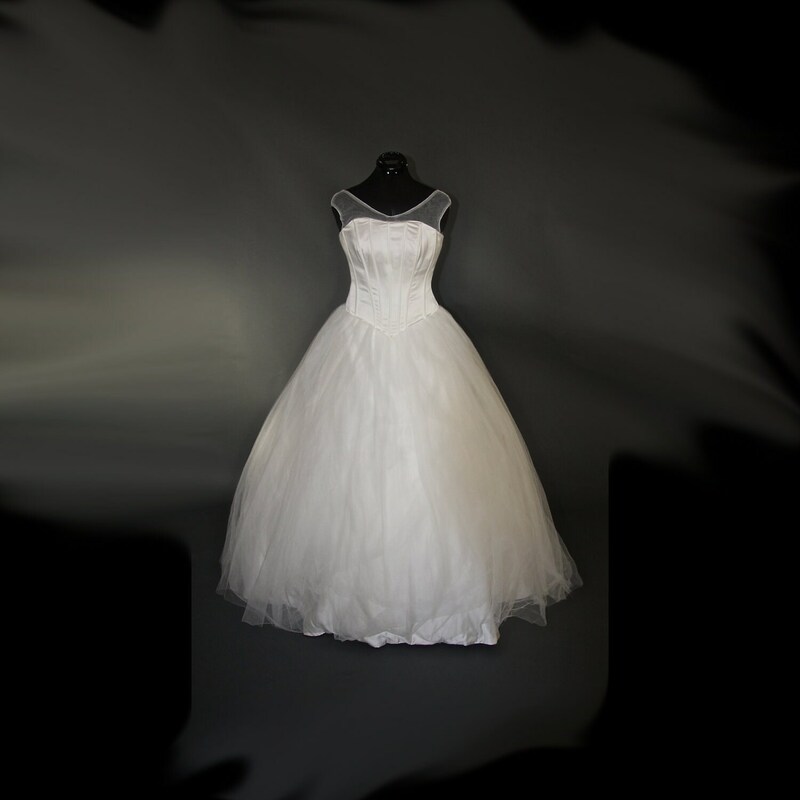 This ivory wedding dress features a corset-style bodice with light boning and a full tulle skirt. The bodice is detailed with a sheer net neckline and a very slight cap sleeve. It has a looped corset lacing with a thick satin tie. The skirt (pictured with hoop petticoat) has four layers of tulle draped over ivory satin. This dress is a size 8-12. If you would like it in a different size, please contact me about doing a custom order.